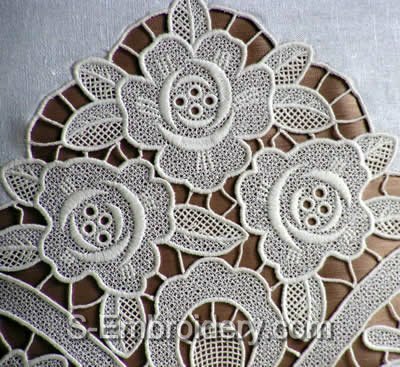 A freestanding lace rose machine embroidery design in 6 parts. 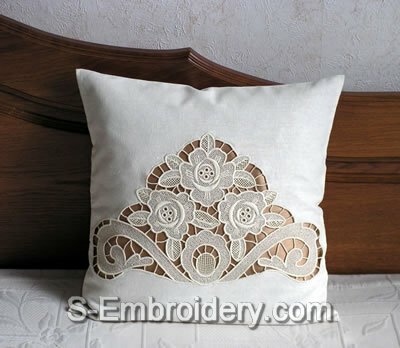 Use it to decorate pillow cases or table cloth. 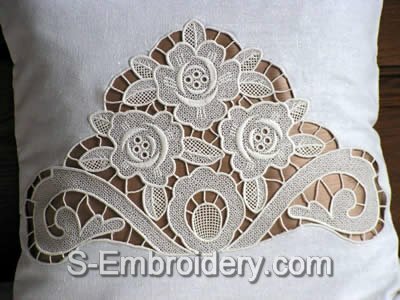 You receive 6 machine embroidery files in one of the supported formats as well as design information and instructions in PDF format.